Item # 301906 Stash Points: 1,799 (?) This is the number of points you get in The Zumiez Stash for purchasing this item. Stash points are redeemable for exclusive rewards only available to Zumiez Stash members. To redeem your points check out the rewards catalog on thestash.zumiez.com. 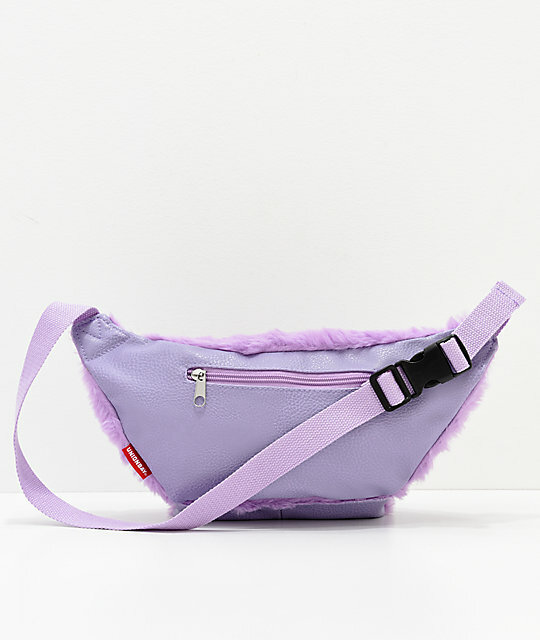 Add a fuzzy look to any outfit with the Lavender Fur Fanny Pack from Union Bay. 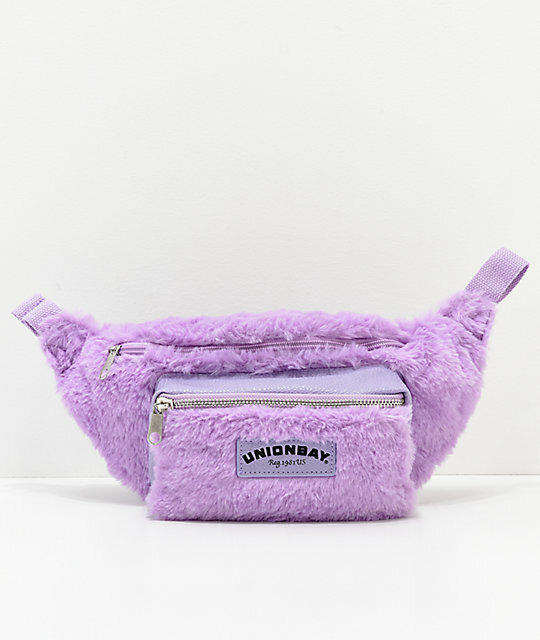 Designed with a purple faux fur exterior, this cute accessory offers a two compartment design with a hidden zip pocket at the back for smaller items. 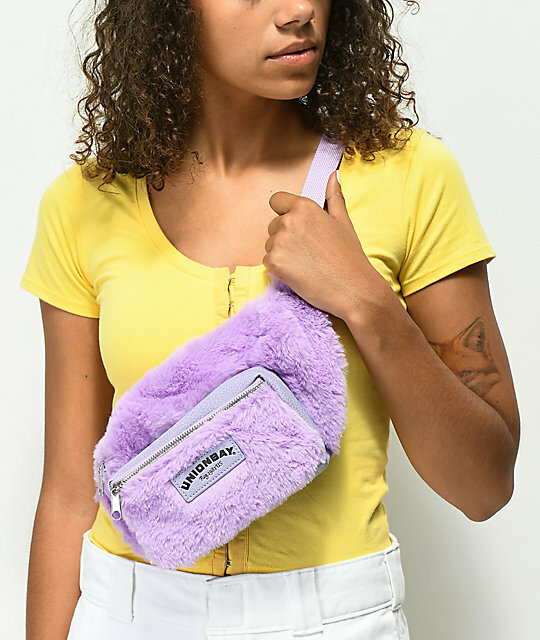 Complete with an adjustable hip strap, this waist pack is sure to be the center of attention. 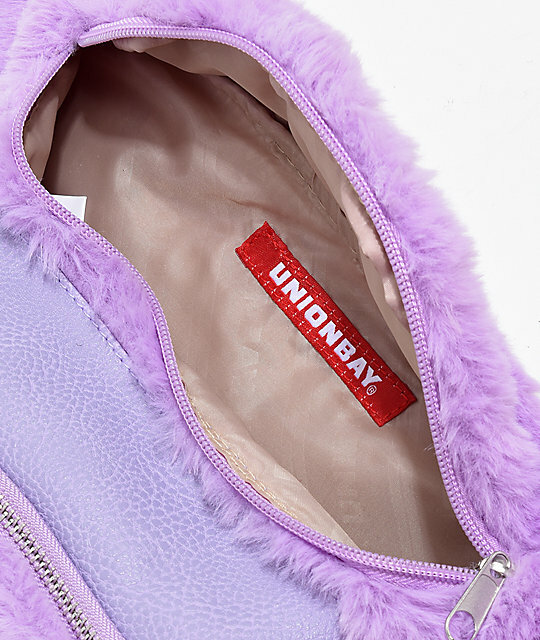 Lavender Fur Fanny Pack from Union Bay. Light purple faux fur design. Made to be worn around the waist or over the shoulder. Zip main compartment & small front pouch pocket. Hidden storage compartment with zip closure on back. Adjustable webbing hip strap with plastic buckle. Dimensions: 13" (L) x 6" (H) | 33cm x 15cm.